Hugging your loved ones is the best feeling. Showing love and compassion to your partmer through hug is the best idea. 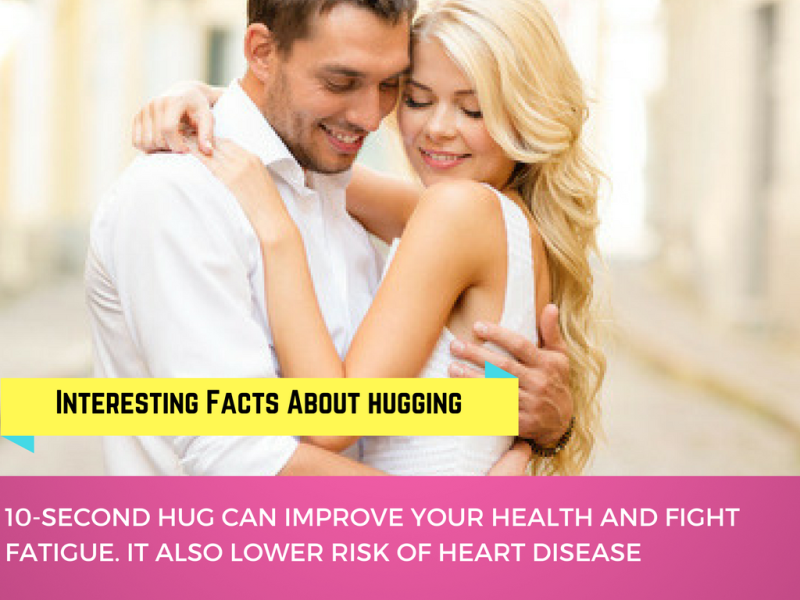 Most of the people are not aware of the fact that hugging can be really good for health mentally and physically. It helps in defusing tension and decreasing feeling of loneliness. Here is the list of 5 interesting facts of hugging. So make sure you hug your loved ones! Like, comment and share these interseting facts about hugs with your friends.